More pros on the PGA golf tour use Taylormade golf equipment than any other golf club manufacturer. Some top tour players who use Taylormade golf equipment are Tiger Woods, Rory McIlroy, Dustin Johnson among many other tour players. There must be something about the new Taylormade golf equipment for so many PGA tour players to be using them. The Taylormade golf company was founded in 1979 by a man named Gary Adams. At the time Mr. Adams was working as a salesman for the Witteck Golf Company. In time, he got a promotion with the company in the research and development department. Around the same time the new two piece golf balls had been developed. In Adam’s research he noticed that the new two piece golf balls performed much better with the irons than they did with the original persimmon woods. With this new information in hand he left the Witteck golf company. He went on to start the Taylormade golf company. Adam’s took the information he had and developed the Taylormade metal wood driver. The driver caught on immediately and Taylormade hollow metal woods ever since. To this day they continue to make improvements in their golf club design. Taylormade drivers are made of materials that make them easier to hit and to control your swing thus maximizing your driving performance. This is one reason that the Taylormade driver is one of the leading drivers used on the PGA golf tour. Their metal wood design have taken them to develop the famous Taylormade burner and the Taylormade bubble. Probably the most popular Taylormade driver is the 2017 M2 driver which i recently did a review on. It offers a totally new level of distance and forgiveness in its new driver technology. 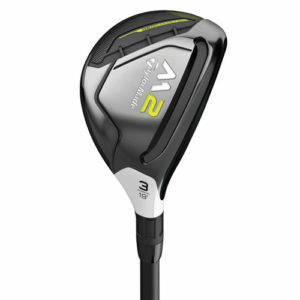 The M2 driver houses a new speed pocket that makes it twice as flexible as the previous model. The Taylormade driver is extremely strong and durable but yet light and easy to swing due in part to their titanium heads. One of the most popular set of Taylormade irons would have to be the 2017 M2 irons. They are considered to be Taylormade’s most technologically advanced iron made by them to date. Their low center of gravity helps even the lesser advanced golfer hit purer iron shots even on slightly missed hits. The Taylormade M1 irons are very similar to the M2 iron put have a smaller head size and shorter blade length but they are more suitable for the more advanced golfer who strikes the ball on a more consistent basis. This hybrid club was designed for golfers with a swing speed between 70 to 105 miles per hour. It has a large head and a better center of gravity which translates to better ball striking and a higher launch angle. It is basically a very easy club to hit. This hybrid model is more suitable for the more advanced golfer who has a swing speed of 90 to 115 miles per hour which is pushing the swing speed of the professional player. It has a smaller head and is less forgiving than the burner. The more skilled player does not need as much forgiveness. It has a lower launch angle and produces less backspin. Taylormade’s dual hybrid offers movable weight technology. In other words if you tend to slice the ball a lot you can change weights on the head of the club creating more of a draw bias and eliminating your slice. The club head is small but still offers a fair amount of forgiveness. Although Taylormade is more famous for their drivers, irons, fairway metals and hybrid golf clubs they actually have a very attractive line of putters to choose from. All of their putters are designed with the Rossa insert system which is a technology called ASGI which stands for anti skid groove insert. These systems cause less skid when striking the ball which leads to purer and straighter on line putts. They have 10 different lines of putters which you can check out here. Most recently the Taylor Made company has purchased the Adidas corporation. So now besides being world renowned for their awesome golf clubs they now offer a full line of other golf equipment and accessories. The present company is known as Taylor Made – Adidas Golf Company, so come on in and check out the new Taylormade golf equipment. I hope i have helped you in your research if you are looking to purchase new golf clubs. Taylormade has many a full line of clubs and equipment for the man, for women and also a full line of junior golf clubs and equipment. They also offer a selection of pre-owned golf clubs that you may find more affordable. Keep in mind if you decide to purchase Taylormade golf clubs they will not be cheap but they will give you many, many years of good golfing. 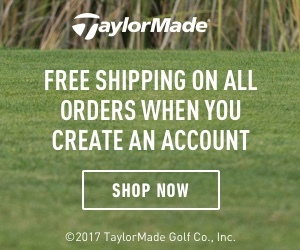 I hope you have found this article on new Taylormade golf equipment useful and informative, if so kindly leave a comment below. in taking up the game of golf but are not sure of how to go about getting started. At first one would think that it is too expensive to get into this sport but that is not always the case.In golfing tips for beginners i will help you on you beginning golf journey as cheaply as possible and loaded with tons of golf knowledge. Like i said, you do not need a lot of money to get started in this wonderful relaxing game of golf. If your really not sure if this game of golf is for you can start out with a basic starter set of cubs or even rent a set, but I’m sure once you get started you will become addicted to this awesome sport. Getting basic starter clubs will let you worry more about you swing more and not the clubs themselves. Down the road as you get better at the game you can then go out and get yourself some better golf clubs. A good deal of golf equipment shops sell many golf clubs that vary largely in price. The basic set consists of 14 cubs, usually driver, couple of fairway woods irons, a couple of wedges and a putter.Other basic equipment you will need is golf ball, tee’s, and a golf glove. Having the right equipment is a very essential part of the game choose wisely when buying your golf equipment. When you are first starting out with the game of golf it would not be a bad idea to maybe getting a starter lesson to begin you golf journey.Even if you have some buddies who are pretty good golfers they could take you to the driving range to give you some pointers in order to get you started. course and get either a 1/2 hour or a 1-hour lesson quite reasonably.Doing this make you golf game better quicker but also lower you level of frustration. Golf has become very popular in the last few decades thanks to the likes of Arnold Palmer, Jack Nicklaus, Tiger Woods, etc. The beauty of golf is that you get to be outdoors, you get to spend time with good friends and to play a game that you can actually never perfect. So, if you are new to the game of golf it is normally played on a nine hole course or most typically on an 18 hole course. The course consists of different length holes noted as par 3’s, par 4’s and par 5’s, that represents the number of shots you need to take to get the golf ball in the hole, If you were to get a 4 on a par three that is called a bogey, a 5 would be a double bogey and getting a 2 would be called a birdie. Each player keeps their own score and at the end when all scores are added up the player with the lowest score would be the winner.Just remember if you are a beginner at this simple game please do not take this game to seriously. It takes years to get really good at this game, just go out and have fun.It’s just a game you outside having fun and not at work. Golf is a gentlemen s game made up of certain rules and regulations.Most times golf courses can be crowded, so you must know the basic rules and common courtesy. so you will not hit into them with you shot. While you are waiting you should have you club picked out and be ready to take you shot when it’s you turn.This will help speed up the game. If you find that you group is playing slow and holding up the group behind you either speed up or let the other group play through. When a player is taking his shot you should stand behind them and try not to make a sound, that can be very distracting. If you take a shot from the fairway and you take a big divot of turf please replace you divot or fill it with a sand grass seed mixture found on many golf carts.When you land a shot on the green and it makes a dent in the green repair it with you repair tool. When you finish playing the hole please replace the flag stick and proceed to leave the green so the next group can play, you can mark you score card when you get back to you golf cart. There are of course many other rules that apply to this simple game of golf which i will get into at another time but for now these should get the through you first round of golf without embarrassing you or anyone else in you playing group. If you have enjoyed this post or if you have any questions, please leave a comment below and I will be sure to get back to you.